William Nelson ('65) arrived at the New York University School of Law as a first-year student over four decades ago, and he has been active as a legal historian since the publication of his first history article in the Annual Survey of American Law in 1966. Over the intervening years, Professor Nelson has published two prize-winning books, eight other books, and numerous articles in leading law reviews and history journals. 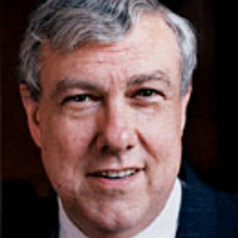 Nelson has been a mainstay of the NYU School of Law's first-year teaching faculty since he returned to the Law School as a professor in 1979. He has taught either Contracts, Property, Torts, or Professional Responsibility to a large section of students in each of the past 30 years. In the upper-year curriculum, Professor Nelson has focused on training future law teachers, especially in his seminar on Legal Scholarship. More than half the students who have taken this course since it was first offered in 1981 have published their papers in law reviews as scholarly articles, and a significant number are now teaching. But Professor Nelson's first love during the past decade has been research for a monograph that focuses on the history of the common law in colonial America.